Baby Audrey joined the Austin family this November! My children are very close in age, so it was fun to see a different dynamic with big sister, Annabel, who seemed so grown up in the ways she helped with Audrey. 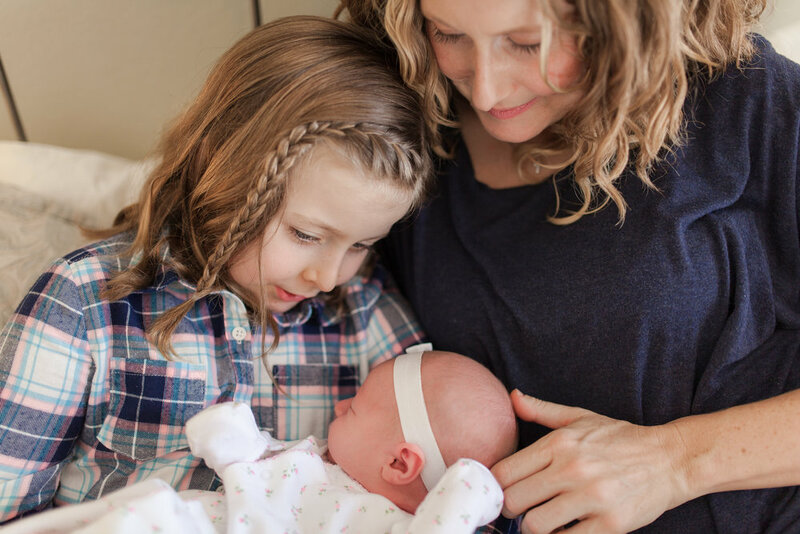 However, whether you become a big sister at 2 or at 6, there is still such a wild wonder in the presence of a newborn! Congratulations Austin family!